Tellabs offers an 1150 GPON Multiservice Access Platform that has been in high demand and significant use since its arrival in recent years. Major networks and carriers have introduced it to their network for voice, VoIP, data and video, with major success according to testing and evaluation from players like the Sandia National Laboratories. GPON gives new and used Tellabs 1150 models an advantage thanks to its access layer network technology, allowing for a wide range of testing and deployment that’s easy to use, manage, troubleshoot and train on for growing businesses. 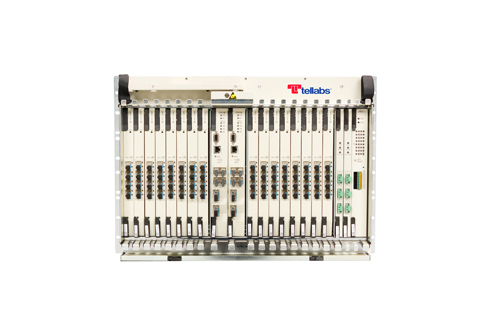 The Tellabs 1150 is a high-density distribution shelf with a 2.56 Tbps shelf backplane and 160 Gbps card slot capacity. You can deploy it with either a 1GbE or multiple 10 GbE network uplinks, as the unit supports up to 64 GPON OLT service ports and 2,048 ONTs in a broad number of configurations. The system is flexible enough to support multiple different network distribution configurations, enhancing voice from IP and PBX as well as application services and unified communications systems. Worldwide Supply also stocks refurbished Tellabs 1150E models that are mid- to high-density shelves in a slightly smaller footprint. The chief difference beyond size is that it’ll support up to 56 GPON service ports and 1,792 ONTs. It’s a smart choice for IP/Ethernet data service delivery as well as pure VoIP and IP video. You can find more options below or contact us directly to learn about the benefits of used and refurbished Tellabs 1150 models from your new trusted partner in networking equipment.